A tense and exciting gala – we knew this was going to be close and it certainly was, with us beating Dorking by 12 points in the end, gaining 2 league points and 15th place in the league. Rarely, we didn’t win any events, but a strong and solid team performance saw us through. There were a good number of PBs. To name just a few….. Holly knocked over 2 seconds off her 50 back and Abi 1.3s off her 100 back. Matty held his own swimming up in the men’s open breast with a PB. Whilst Ella T swam up in the ladies open free relay at the end going sub 30 seconds on her 50 free split and was the 3rd fastest! The final results was: 1st Leatherhead 231: 2nd Fareham Nomads 214; 3rd Basingstoke Bluefins 295; 4th Reading 189; 5th Littlehampton 113; 6th Dorking 101pts. 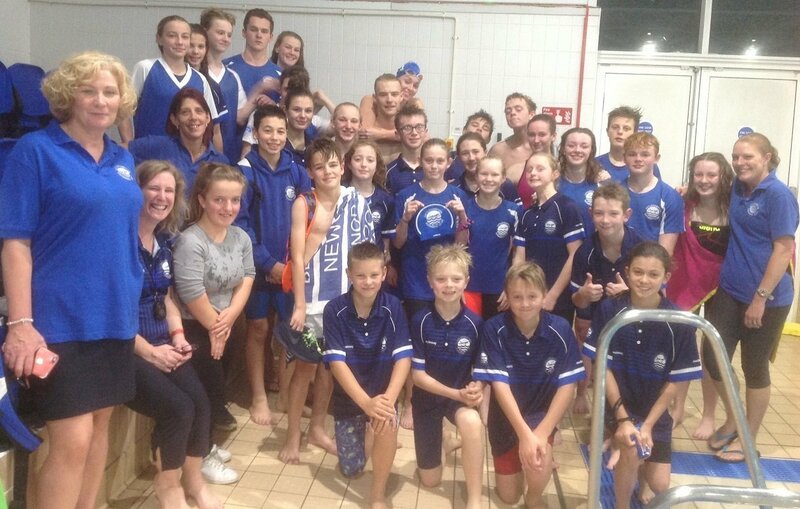 Overall a great team result – well done to everyone who swam! Thank you to all our lovely helpers: Judge Mark, timekeeper Dean, team mangers Kerry, Tina & Bernie and coach Helen. We will be in Gala 3 in the 3rd round on Saturday 8th December against Worthing, Tilehurst, Dorking, Staines and Kingston – venue TBC. This should be another exciting gala!